We are a brand new club dedicated to immersing the Stern community into New York City's rich arts scene. We organize group outings to cultural venues, such as galleries and music venues, facilitate networking and learning opportunities with industry professionals, and provide students with the opportunity to display their talents through on-campus talent events. Founded in November 2017 by Stern's own Renee Leibler and Richard Bryant, the NYU Stern Blockchain and Digital Asset Forum quickly evolved from an idea to an organization looking to position NYU as a world thought leader in all things blockchain. From our Speaker Series to the cryptocurrency investment club and more, we seek to capitalize on NYU's unique location in the financial capital of the world and Silicon Alley. Joining this group requires a stern.nyu.edu email address. Cellar is dedicated to providing the NYU Stern community with a better understanding of wine, spirits, and beer. Cellar is a commingling of social and educational missions, focused on bringing together a diverse set of interests and experiences around a common theme, the joyous consumption of libations. Early access and/or discounted event tickets, newsletter subscription, club member deals at local retailers. Entrepreneur & Startup Association's mission is to help students, alumni, and affiliated entrepreneurs achieve entrepreneurial success and career goals. We seek to accomplish this by fostering entrepreneurial curiosity, by providing an energized environment conducive to pursuing entrepreneurial paths, and by providing focused resources, education, networking opportunities, and career guidance to our community. Our mission is to connect all EMBAs with each other and with the entire NYU community. Give all members the opportunity to explore and join any groups or events they may benefit from joining. Facilitate networking beyond our own little groups and reach out to those who may have similar objectives or interests. speaking events, company treks and alumni networking opportunities. The Government and Business Association (GBA) operates at the intersection of business and government, politics and public policy. The GBA has three primary goals. First, the GBA provides Stern students with career, networking, and volunteer opportunities in the business, government and public policy sectors. Second, our organization serves as the catalyst for all members of the Stern community to examine relationships between business and government, both domestically and internationally. The GBA holds events with thought leaders and policy makers in the business, government, and public policy sectors. Third, the GBA serves as a non-partisan forum for students to discuss evolving government and political issues, campaigns, business regulations, and public policies. We represent interests, address concerns, and develop social, cultural, and community awareness among Langone students at NYU Stern. Free! Just click to sign up. Go Green! As the Green Core Group, we are here to promote building Stern and our community into the experience we want it to be. The Latin American Business Association (LABA) serves as a liaison between LatAm and the Stern community at academic, corporate, and social levels facilitating and promoting cultural and professional exchange. We help prepare native Latin American students and those interested in the region for global recruitment in a wide variety of industries, including finance, marketing, consulting, and entrepreneurship, and provide a venue for corporations to network with our members to enhance traditional recruiting. The MBA Experiential Learning team in the Office of Student Engagement aims to create academic hands-on-learning opportunities for students to connect theory and practice. Oversee Stern's Experiential Learning Opportunities including the Stern Consulting Corps, Stern Signature Projects, Tech and the City, Consulting Lab: Branding + Innovation, Board Fellows, Strategy with a Social Purpose, NYU Impact Investing Fund, Social Impact Internship Fund, Stern Ventures Fellows and many more. Tutoring Program for Stern Students- If you would like to be a tutor, please go to the "Surveys & Forms" section of this page, and fill out the application for the subject you are interested in. Joining this group requires a nyu.edu email address. The purpose of the NYU Military Veterans Group is to support the Office of Admissions in recruiting more veterans to Stern, to assist members in the transition from the military to the business environment, and to help the community by raising money for injured and deceased veterans and their families. We believe that our greatest asset is the leadership experience we have gained as members of the world's fighting forces. We seek to leverage this experience through networking opportunities, coaching sessions and speaking events. The Office of Student Engagement (OSE) inspires and enables you to broaden your perspective and explore your potential to create value for the world through business. Taking advantage of Stern's location at the center of global business, we offer educational experiences that transcend the classroom. We partner with you to create unparalleled opportunities to grow as a leader and empower you to transform ideas into action while making a lasting impact. We are a vibrant organization of NYU Stern MBA students dedicated to using the power of business to create a more socially and environmentally sustainable world. Our mission is to propel the next generation of socially responsible business leaders through education, inspiration, and conversation. SISA is the NYU Stern School of Business chapter of Net Impact. The Stern Campus Greening Initiative (SCGI) is a school-wide effort dedicated to (1) improving the school's environmental footprint, (2) promoting a healthy and sustainable lifestyle, and (3) empowering students to become leaders and proponents for change through education, innovative programming, and partnerships with the wider NYU, New York City and local business communities. As the public speaking club of Stern, SpeechMasters' mission is to help students build the best of class skills in executive communication. Speechmasters is here to help students develop their communication skills and grow professionally and personally. Events like "Thinking on Your Feet" and Mock Madness provide a supportive learning environment for becoming a better speaker today. The Stern Energy & Infrastructure Club hopes to provide our members and the Stern community with educational, career and networking opportunities within the highly relevant and dynamic energy industry. While energy has always been a vital and contentious part of our economy, never before has it been so important to have a fundamental understanding of how energy can affect an organization’s mission as well as its bottom line. As such, the Stern Energy & Infrastructure Club aims to bring together individuals from all parts of this industry - traditional, renewable, financing, operations and those that want to learn more about how energy can affect their business - to provide a forum not only for career advancement, but also for educational and informative experiences. Stern FC is open to all soccer players, fans and enthusiasts. As a non-academic student club, we foster a joyful social environment, through the promotion of soccer related events. As soccer is a sport played by a team, with passion and pleasure, Stern FC enforces in its activities teamwork, commitment and, overall, joy. Join the Stern Golf Club for opportunities to meet other golfers, improve your game, play in friendly outings, and represent Stern in our annual competition against Columbia. Stern Golf brings together golf enthusiasts of all skill levels, and we welcome everyone to join. The mission of Stern Gridiron is to provide current students and alumni of NYU Stern with the opportunity to network and socialize through the sport of football. Whether new to the sport, an experienced player, or someone who just likes to watch professional and college games, all who support football will be welcome to participate. Through viewing parties and competitions, such as flag football games versus other business schools, the club will look to further unite the Stern community and foster interest in the great game of football. Members will enjoy access to a number of events both on and off the field including watch parties, treks to NFL and college games, and seminars about the wonderful game of football. 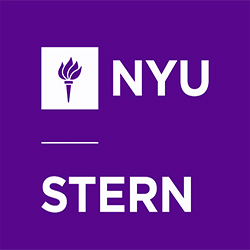 Stern in Africa is an all inclusive club whose professional, educational and social events are open to all members of the Stern and NYU community. Through SIA events, we will be able to expose our entire community to broad, unique and exciting opportunities. Stern in Africa is dedicated to enhancing the Stern community by introducing Sternies to all the great social, cultural, and professional opportunities that nations in Africa have to offer. . Our Objectives are as follow: . Provide access to information about African business and career opportunities; create a forum for discussing African events and issues; Create a better awareness of Africa as a viable business and leisure destination; Create greater visibility of Stern among Africans in the Diaspora; Support Stern admissions Office in recruiting African Students; Provide opportunities for Stern MBAs to explore Africa through social and cultural events; Provide a support network to African students at Stern; and Create networking opportunity for SIA members interested in building careers in or related to Africa Please feel welcome to email us with any questions: sia@stern.nyu.edu. The Stern Racquet Association (SRA) mission is to serve as a resource for students interested in learning about and playing tennis, racquetball and squash. We coordinate tournaments & events for members to attend around all 3 sports. The Stern Real Estate Club (REC) exists to provide a forum for both full-time and part-time students interested in all aspects of real estate to exchange ideas, share experiences and participate in club-sponsored events and ventures. The REC plays a significant role in promoting greater awareness of the real estate industry to club members and the larger Stern community by sponsoring events that foster career search contacts, discussions of industry trends, insight into market opportunities and comprehensive skill-set development. The Stern School's long standing tradition of high caliber finance education combined with exposure to New York City, the premier real estate market in the world, empowers the REC to enhance students career endeavors. Through guest lectures, panel discussions, mixers, site visits and case competitions, the club members are exposed to the most experienced practicing real estate professionals and to the faculty and students from the Stern School of Business, NYU's School of Law, and other top-tier MBA programs. To be the dominant rugby club in New York and to promote the great brand of rugby across the city. To introduce new players to the game and to challenge ourselves to beat our opposite man. To beat Columbia. Visit Campus groups and select the membership type, then pay using paypal. Stern Showcase is an umbrella club that provides a platform for all those who like to sing (Net Present Vocals), dance (Stern Moves), and/or laugh (Stern Comedy Club). The Stern Student Government (SGov) is the MBA student government for New York University’s Stern School of Business. SGov accomplishes these goals with several formal responsibilities: It is the governing body for all graduate student organizations, it coordinates all Stern community service work, and it organizes school-wide social activities. SGov is also responsible for allocating funds to student organizations, granting club renewals and recognizing new clubs. All Stern MBA's are members of SCorp, but registration on CampusGroups is still necessary. There are no dues. The mission of Stern Community Service is to maximize the community service impact of Stern students by providing a range of philanthropic opportunities. We promote and coordinate projects for a variety of causes including, but not limited to, underprivileged youth and their schools, the homeless, New York City parks, leukemia awareness, and breast cancer awareness. Advocate international student priorities by acting as the “voice” of the international student community at Stern. Stern Joint Ventures is dedicated to creating a stronger sense of community for all Sternies and their partners, a strong support system for student parents, and serve as an educational resource on parent-related issues. Provide NYU Stern MBAs recruiting for careers within the tech sector the necessary information and relevant opportunities to secure their dream job. Adam Smith Society is a community dedicated to exploring the links among the economy, government, and society. The Society believes that business, entrepreneurship, and commerce are wellsprings that keep this country vibrant, creative, prosperous, and free. Through debate and discussion, the Society aims to advance this idea on campus and among business leaders. continuing in this tradition of promoting free markets. Adam Smith Society is the only club with affiliate chapters across all the top business schools in United States and thus, it provides access to business school students to the wider MBA community to engage in free-flow of ideas and forge longer-term connections which sustain even after one graduates the MBA program. In addition to joining the NYU Chapter, it is highly encouraged that members also join the National Chapter at the basic level to take full-advantage of the programming and fully-paid treks organized by the National Chapter. At the W. R. Berkley Center, we have a single mission: to nurture entrepreneurial talent at NYU. We elicit, honor and cherish human initiative, creativity, and passion--the essential ingredients for entrepreneurial success in this new millennium. We're talking about a way of thinking that surprises the market again and again with exciting, unexpected solutions. The Center offers a broad array of insights from research, educational programs, acceleration opportunities, and industry-advising services that provide you with the skills you need to discover and execute bold new ideas.